Botox Cosmetic is a purified injectable protein that relaxes the muscle and softens the lines caused by the contraction of the muscle. It is most often used in the forehead, crow’s feet (around the eyes), and between the eyebrows (frown lines). 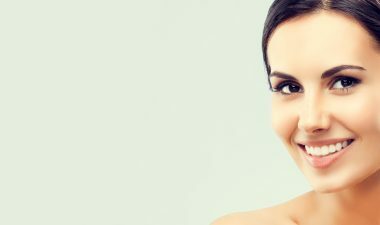 Botox can be done in a short office visit, typically 30 minutes or less. The needles used at Essence Laser & Wellness for Botox injections are the tiniest needles possible, the same needles used in childhood diabetes. We numb the area with a cold pack 10-20 minutes before the injections are given, so you may not feel much pain, if any. It generally takes three to seven days to take effect, but may take up to two weeks to get the full effect. The effects from Botox typically last three months. As muscle action gradually returns, the lines and wrinkles begin to re-appear and need to be re-treated. Over time, just like any other muscle, if the muscle is not being used, it becomes smaller, and it takes less Botox to treat, and the effect lasts longer. Are there side effects from Botox? If done correctly, and conservatively, as we take great precautions to do at Essence Laser & Wellness, side effects are very rare. Possible side effects include temporary headache, bruising, and, in fewer than 1% of cases, drooping eyelids or eyebrows that return to their natural position within a few weeks to months. Botox has been used in the treatment of Blepharospasm in ophthalmology since the 1960’s. In fact it was a female Ophthalmologist from Canada, Dr Jean Carruthers, who discovered the cosmetic benefits of Botox when her Blepharospasm patients came back saying their crow’s feet were gone. She then began experimenting with the frown lines, and the rest is history. At Essence Laser & Wellness, all of our Botox injections are done by Melinda C. O’Rourke, M.D., a board certified Ophthalmologist and Cosmetic Surgeon. How long has Dr. O’Rourke been doing Botox? Dr. O’Rourke has been doing cosmetic Botox treatments since it was FDA approved for cosmetic purposes about 10 years ago, and has evolved since then using it for not only facial cosmetic purposes but also tension headaches and hyperhydrosis (excessive underarm sweating).